Thanks so much to the crew that was sent to our house yesterday. They were super pleasant to work with and we were also appreciative of their attention to detail and safety (we had grandkids underfoot and they made an extra effort to let us know that there might be safety issues with some glass panes we had stored along side of our house that they had moved for us). They were quick and thorough. 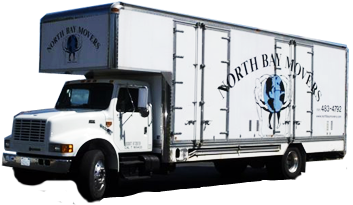 Hurd Real Estate & Investments Inc.
Lakeport & Santa Rosa Moving Company Serving the greater Bay Area. Sitemap | Copyright 2015. All Rights Reserved.